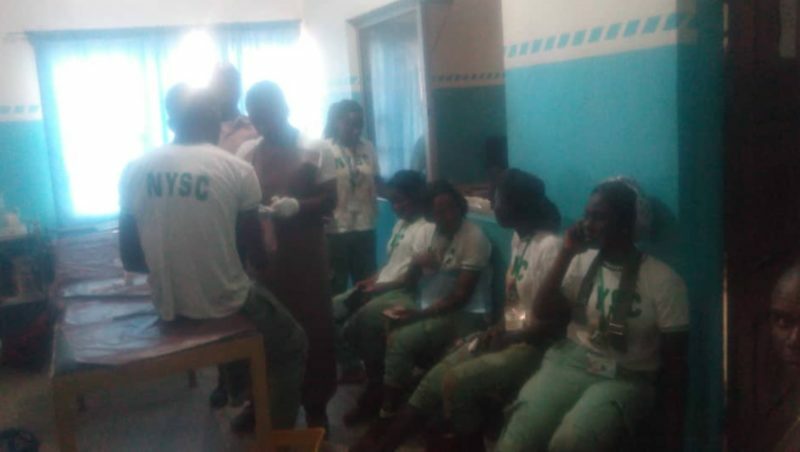 37 new corps members that just passed out today from NYSC Orientation Camp in Ogun State, today, narrowly escaped death along the Lagos – Ibadan Expressway. The lone crash involving a white Civilian Coaster Bus occurred as a result of over speeding around DANCO. Nine males and ten females were injured out of a total of 37 corpers in the vehicle. The Injured victims were evacuated to the FRSC Accident Emergency Clinic at Sagamu, while four of the victims with more serious injuries were referred for further medical treatment at Olabisi Onabanjo University Teaching Hospital, Sagamu. 19 new NYSC members that just passed out today from NYSC Orientation Camp in Ogun State escaped auto death along Lagos – Ibadan Expressway. The lone crash involving a white Civilian Coaster Bus occurred as a result of over speeding around DANCO at about 1516hrs today. 19 Adults (9M, 10F) were injured out of a total 37 Youth Corps Members in the vehicle. The Injured victims were evacuated to FRSC Accident Emergency Clinic at Sagamu though four of the victims with more serious injuries were referred for further medical treatment at Olabisi Onabanjo University Teaching Hospital (OOUTH) Sagamu. The FRSC Sector Commander Ogun State Command Corps Commander Clement Oladele advised Youth Corps members to always caution their drivers especially during this raining season and that where such drivers refused caution they should call FRSC toll free number 122 for the FRSC to take necessary disciplinary action against such erring drivers .